An industrial control transformer is an isolation transformer employed for providing good voltage regulation and a high degree of voltage stability in case of power overload or voltage spikes. Also called as control transformers, control power transformers, or machine tool transformers, these devices are designed essentially for industrial applications where electromagnetic devices such as solenoids and relays are employed. Control transformers maximize the output voltage and inrush capability when the electromagnetic devices in the network are energized initially. This report provides a thorough analytical account of the present and past growth dynamics of the market and gives detailed insights into the prospective future growth trajectory of the market over the period between 2017 and 2025. An account of leading growth drivers, restraints, trends, and opportunities in the market is also included. The market for industrial control transformers is expected to expand at a promising pace over the report’s forecast period. The market is expected to be drive by the thriving power industry and the massive rise in power generation capacities across the globe. Owing to rising competition in the industrial sector, the need for reducing equipment failure due to voltage spikes has massively increased. The consecutive rise in uptake of industrial control transformers across a number of industries in developed as well as developing economies is expected to enable a healthy growth trajectory for the market in the next few years. However, the unsteady growth path of the global oil and gas industry, which was massively shaken due to the recent price slump, and the steadily declining operations in the Asia Pacific and Middle East and Africa mining industries are expected to hamper the growth prospects of the global industrial control transformer market over the forecast period to a certain degree. However, steady expansion of the power industry in these regions could present new growth opportunities. The report segments the global industrial control transformer market based on criteria such as phase, power rating, end-use industry, and geography. Based on phase, the segment of three-phase industrial control transformer presently dominates owing to their reputation as being more efficient over other varieties. In terms of power rating, the segment of above 1,500 VA is presently the dominant segment owing to high demand across heavy industries. Of the key end users of industrial control transformers, the metal and mining industries are presently the leading consumers and are expected to remain the key contributors of revenue to the global market over the report’s forecast period as well. 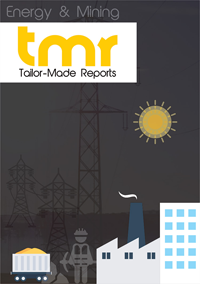 The report presents an overview of the industrial control transformer market across regions such as Europe, Asia Pacific, North America, Latin America, and Middle East and Africa. Of these, the highly developed and steadily expanding industrial sector of Asia Pacific has provided vast leverage to the industrial control transformer market in the recent years. The region remains one of the leading contributors of revenue to the global market and is expected to continue to present a healthy demand for industrial control transformers in the next few years as well. The global industrial control transformer market features the dominance of multinational large companies. Owing to the rising demand from rapidly industrializing emerging economies across regions such as Asia Pacific and Latin America, leading vendors have undertaken geographical expansion strategies through mergers, acquisitions, and the establishment of manufacturing and distribution lines in these regions. Some of the leading companies in the market are Emerson, ABB, Siemens, Rockwell, Schneider, Eaton, Hubbell, and General Electric.